The fishing port of Aveiro is located on the right bank of the Mira channel, between the Barra bridge and the Barra Fort, and offers the following maritime infrastructures: 500 m quay with bed levels of (-5.00 m) CD; 180 m quay with bed levels of (-4.00 m) CD, two floating pontoons with bed levels of (4.00 m) CD, totalling 940 m of berthing length; boats ramp. The marine infrastructures and onshore facilities of this sector develop in an area of 2.5 ha of embankments and include the fish auction building, 34 equipment warehouses, 28 merchants’ warehouses and an ice factory. CONSULMAR prepared all the concept and planning studies and detailed design of the maritime works and onshore facilities. 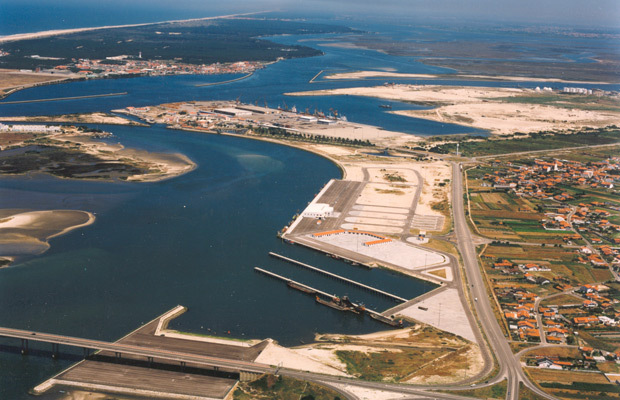 Studies of the “Ria de Aveiro”, prepared by CONSULMAR, began in 1974 with the Master Plan for the Ria which goal was to define the overall utilization of the estuary surrounding area, and the corresponding location of the port facilities and the analysis of hydraulic behaviour of the terminal section of the estuary. Hydrodynamic and sedimentological studies have been developed for the entire estuary system. The studies of the fishing port in Mira channel included the study of the access channel and the design of the hydraulic correction works at the margin.